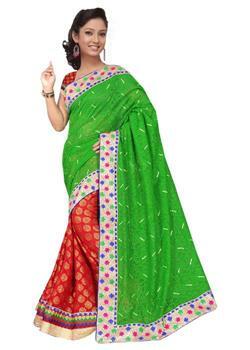 Add the most stylish Black tiki saree in your collection that is best match for any occasion starts from any festival to wedding or party. 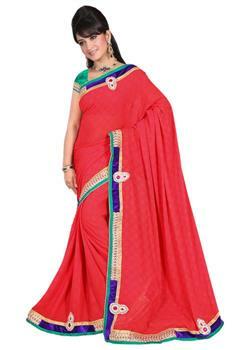 The red thousand butta saree with multicolor border delight your beauty. 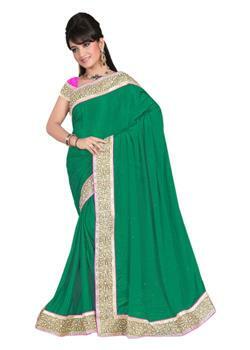 Black and green colour border with golden embroidery gives the most versatile look to it.